This wine, vintaged from late picked fully ripened Shiraz and Grenache grapes grown on the Dennis Estate Vineyards at McLaren Flat. The fermenting juice was fortified at 8deg. Beaume with first grade brandy spirit. 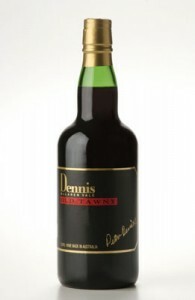 Matured in small oak wood over many years, it has developed the rich character and rancio style typifying classic old tawny ports.